I don't know about you but I visit TONS of sites a day that require me to log in with a username and password. And I am ashamed to admit it but there are quite a few times where I forget my log in info for a site. When that happens 9 out of 10 times I can not find where I wrote it down or the Post It note got thrown away. Recently I was introduced to the Internet Password Organizer. Just in the little while I have had it, it has been very useful. Once I received it I started entering my info every time I visited a site that I had to log in and I am ready to add anymore for any future sites I join. I also made my 14yr enter everything he has such as Myspace, email etc. so it is easy for me to keep an eye on his online activities. 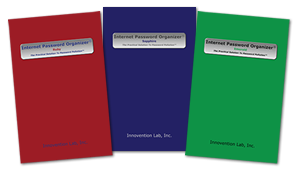 The Internet Password Organizer® provides you with a single centralized location in which to store all your online account login information. The Gem Collection was unearthed to provide users with an attractive, low-cost, password management solution. Every book in the collection shares the same Award Winning interior layout that has made the Internet Password Organizer famous. Store your usernames and passwords, as well as a wealth of other computer-related information in one handy place and rid yourself once-and-for-all of the assortment of Post-It notes that cover your desk.Now every family member can have their own book. From Ruby Red, Sapphire Blue, to Emerald Green, we've got a color to fit your mood and a book to suit your budget. Besides just keeping track of your usernames and passwords in the Internet Password Organizer there is also a place for you to put info for ISP , Home Network , Software License and notes. Passwords cannot be hacked remotely through an internet connected computer. Discrete "notebook" design conceals your information in plain site. Passwords not lost if you suffer a hard disk failure. A Internet Password Organizer !!! Winners choice of Ruby, Emerald or Sapphire ! This product has received several endorsements such as "Certified Professional Organizer Geralin Thomas nominates the Internet Password Organizer® as "The Top Hostess Gift for 2008" in the October issue of Triangle East Magazine." They are available at over 30,000 places in 100 countries. I learned that The Internet Password Organizer® is featured in the March/April issue of Cary Magazine. In order to extend the useful life of your Internet Password Organizer® it is recommended that information be recorded in pencil. The company suggests entering the information in pencil to make changes and updates easier. I particularly like the deluxe one. I use an internet-based one, but it is unique to my machine, so they are correct to say I can't access it remotely. This would be nice to have. Discrete "notebook" design conceals your information in plain site. That's a great point. They recommend that you use a pencil to extend the life. You should write in the book in pencil to extend the life of the book. I learned that in order to extend the useful life of your Internet Password Organizer® it is recommended that information be recorded in pencil. I learned that the Internet Password Organizer - Deluxe is available exclusively at Amazon. 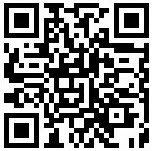 I follow via the Google Reader feed. 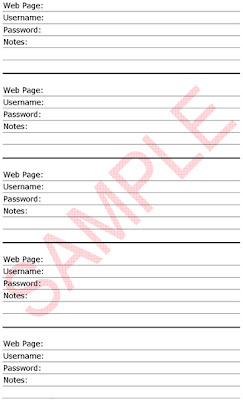 On the Password Organizers web site they mention to write your passwords in pencil, in case you need to change something later, and to keep it in a safe place, and do not keep other important #'s along in the same file like crdit card #'s & pins. I have "Life in a house of Blue" button in my right hand side bar. I am a email subscriber of Life in a house of Blue. I have "Life in a House of Blue" listed in my blog roll. I left a non-entry comment on the Toothpaste Head giveaway. This also comes in a deluxe version. I learned that one of the cons of storing passwords via a software solution is that, espite the strong encryption algorithms employed by many of these tools, a single password is used to block entry. Once that is compromised, all your passwords are free for the taking. Retrieving your credentials will take no time at all so you can spend more time surfing and less time searching. The deluxe edition is only available at Amazon. In order to extend the useful life of your Internet Password Organizer it is recommended that information be recorded in pencil. The Internet Password Organizer® is featured in the March/April issue of Cary Magazine. I learned that in order to extend the useful life of your Internet Password Organizer it is recommended that information be recorded in pencil.